It started with one question. Why has Oregon produced such a steady string of animation and cartooning geniuses? I shot that question into the air. It startled me by exploding into many questions. Where does pop culture come from? Is it possible that the border culture of the West has played a greater role in fueling American pop culture than we recognize? Alternately, is the border culture of the Pacific Northwest more urbane than we thought? If Oregon has produced a string of important cultural game changers, what does that say about us? What regionally specific elements contributed to the production of these effective, powerful, influential artists? 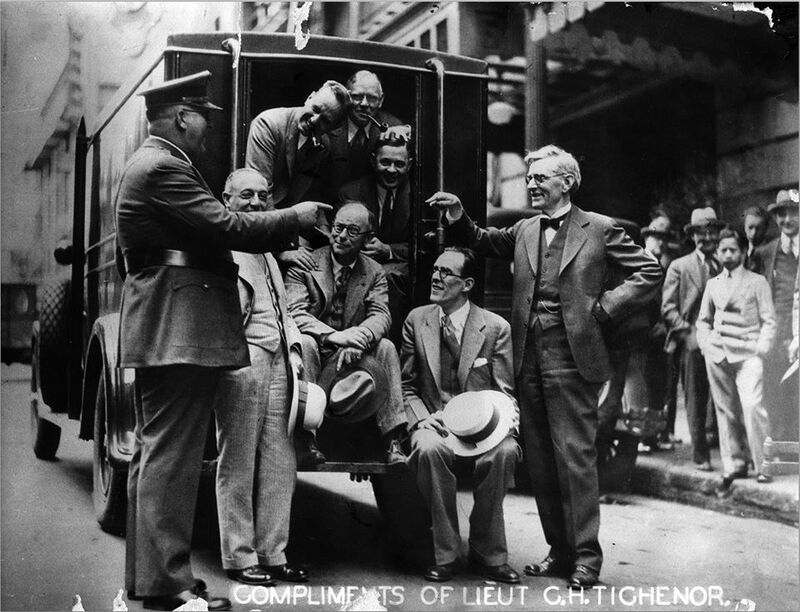 What was the role of the interrelated early twentieth century developments of mass transit, abundant electricity, and neighborhood movie houses? Is there a link between the radical, ie empowered, middle class Portland Robert Johnston researched and the anti-elite cultural values lovingly lampooned in Portlandia? How is it that even at this late date, after decades of producing them, Oregon has no awareness of or interest in tabulating its most successful pop culture practitioners and including them in our history? Where does this blind spot come from? Is this blind spot part of the culture which helps us produce these successful artists? By “radical”, Robert Johnston did not mean “destructive of social order”. By radical, he meant “aligned with the social, economic and political interests of the worker”. His research, a precinct by precinct analysis of voting patterns, found Progressive Era small business owners in Portland, especially in East Portland, voting in the interests of labor. They identified downward. Instead of voting to protect the interests of owners, including owners of businesses larger than their own, a group to which we can imagine they wished to eventually belong, they voted to protect workers, a group to which they no longer belonged, and whose interests, arguably, were not in perfect alignment with their own. I believe this early emergence of a radical/empowered middle class explains and supports Portland’s phenomenally successful string of pop culture practitioners. How could a historically singular sensibility come into being, exist long enough to leave behind voting patterns Robert Johnston could identify and map, and then just go away without leaving a trace. The answer is, it didn’t. The empowered middle class continued, expressing itself culturally if not politically. Portland is not large, or particularly prosperous. Yet in 2013, the circulation of its public library system was second in size only to that of New York’s. Oregon’s public television station, located in Portland, is the third largest producer of public television programming in the nation, after New York and Boston. In 2011, Portland’s park system received a Gold Medal for excellence – best in the country. Portland’s funding for education, and for the arts, is among the lowest in the country. We have not one single top ranked university. Our symphony, ballet, and state historical society have dwindled in size. Yet our libraries, parks, and public television rank with New York’s. Libraries, parks, public television: what do those institutions have in common? They are free. They are for everybody. Portland never perfected the idea of an elite culture. The people who made tons of money here imported their ideas of who they should be from elsewhere. Meanwhile Portland’s middle class, from the beginning, was constantly and confidently expressing and inventing itself. Forging its own way, making its own future, passing its own legislation. I am the product of this triumphantly self accepting middle class. Portland produced Matt Groening, the creator of the most popular television situation comedy of all time. Portland is the home of Dark Horse and Image, two of the largest comic book publishing companies in the world. The very first television cooking show, ever, starred Portlander James Beard. We are experts at producing what Rebecca Solnit calls “that hybrid and ever-evolving mix of sophisticated technique and populist content”: entertainment. Portland’s film culture, downright Parisian in its density, is the most deeply embedded legacy of the brief but formative ascendancy of the radical middle class. Our film culture is one where the boundaries between consumer, exhibitor, and creator are extraordinarily permeable, and are purposefully kept that way, with our values supporting mobility between all three categories. This is what is unusual about Portland. Silent era Portland filmmakers made anything and everything they thought would please their audiences. They made newsreels, commercials, shorts, features, animation. They found capital, set up studios, trained a work force, found multiple markets, and combined local talent with name talent imported from elsewhere: all steps Will Vinton would later repeat. The arrival of sound, with skyrocketing production costs, ended all this. Hollywood was able, in its Golden Age of studio dominance, to temporarily stamp out a thriving regional cluster of independent filmmaking. Filmmaking slowly began to return after WWII. The studios lost their grip on audiences. 16mm made production affordable. In Portland, which had a strong film watching culture already, plus living survivors of the silent era to serve as mentors to young independent makers, the pace of the sea change was accelerated. Will Vinton and Bob Gardiner brought home an Oscar in 1975. A meadow of indigenous filmmaking, temporarily wiped out by a lawn/monoculture of Hollywood studio product, has been reverting to diversity ever since. In this reading, Hollywood becomes the flash in the pan, not regional filmmaking. Have we have misunderstood our own cultural strengths? Have we underestimated our role as cultural leader? Perhaps we are not behind. Perhaps, in the area of culture, the relationship to media creation and consumption first envisioned by Portland’s radical middle class actually has put us ahead. Futurama! That’s why the young kids move here. 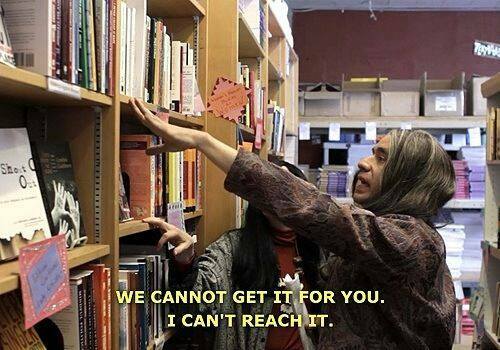 Carrie Brownstein has said that Toni and Candace are the heart of Portlandia. She is right. They are the most accurate portrait of a real Portland subculture. Although both Toni and Candace love abstraction, and delight in rules, between the two of them they do not heave around a great deal of education. Ideologically driven as they seem to be, they appear to have avoided reading any of the books in their store. Their elitism seems predicated on no one comprehending it. They intend to be an island of two. This is what makes them so adorable, so transparent. Their feminism ends with them, it cannot be leveraged into a larger movement. It is too lunatic. Who needs books? They have each other. They are Adam and Eve. Laurel and Hardy. Akbar and Jeff. Candace and Toni are not high brow or low brow. They think they are middle brow. They think they have a shot at serving the community. I am standing in Sheldon Renan’s library, holding a book inscribed to him by Walt Curtis, his high school friend. Sheldon tells me Stewart Holbrook’s library, which he saw as a child, inspired the room in which we stand. Now that Stewart Holbrook and Walt Curtis, two guardians of Portland history, are thus properly invoked, Sheldon sits me down in his office, and I start asking him questions. The family legend is that they met and fell in love while handcuffed to the same streetcar at a suffrage demonstration in downtown Portland. Henry Minor Esterly was a lawyer and architect. His credentials as a feminist were stellar: he had worked his way through college in Wisconsin, and then put his two sisters through college after him. Elizabeth Norcross was a Bryn Mawr educated school teacher. They married in 1908. The Portland the newlywed Esterlys lived in was home to John Reed and CES Wood. Portland Hotel was sandwiched between Pioneer Courthouse and the Orpheum Theater. Streetcars went everywhere. Theaters lined Broadway. Cheap electricity lit up the downtown streets. The Esterlys were members of the social group which nurtured Portland Art Museum and the Museum Art School. They listened to new adopter Charles F. Berg experiment on radio with a show, the KGW Hoot Owls, which eventually includes high school drop out Mel Blanc. They send their daughter Louise to Bryn Mawr which she attends in concert with Charles F. Berg’s daughter, Caroline. Both women remain on the East Coast after graduating. Louise stays until she meets and falls in love with a bookish agricultural labor organizer from Queens. Louise brings George Renan home to Portland and Sheldon Renan is born in 1941. He grows up in Oregon City. As soon as he is old enough to travel alone on a street car, he attends the Museum Art School on Saturdays. Sometimes he skips class to go to the movies at the Blue Mouse, a decaying 800 seat relic from the silent era. He grows up deeply in love with movies and with books. In 1967, he combines the two by writing An Introduction to the American Underground Film. He starts it in New York, finishes it in Portland. In 1970, the NEA puts him on a funding panel where he successfully petitions for the creation of a network of regional film centers. All four still exist. One is in Berkeley, one in Detroit, one in Chicago. The fourth is in Portland, the Northwest Film Center. Twenty years later, David Cress, future producer of Portlandia, walks through its doors. Carrie Brownstein could not possibly have known, when she and Fred Armisen created the haven for phallus phobes which is the Women and Women First bookstore, how deeply Portland feminism and Portland filmmaking are intertwined. Two faux feminists, Toni and Candace, were made possible in part by two real feminists, Elizabeth Norcross and H. M. Esterly, and their film obsessed grandson, Sheldon Renan. The question “Why has Oregon produced such a steady string of animation and cartooning geniuses?” still wreaks social havoc here in Portland. No one knows what to do with me. Is it history? Is it film? Is she serious? What is she after? Quentin Crisp objected to cleaning his house because, he said, there was no end to it. Things could always be cleaner. In the same way, in Oregon we choose to prize mysteries rather than eradicate them. There are things we must leave wild, if we are to preserve the charms which brought us here. We must not understand. We want the raw, not the cooked. It is as if we live in a cultural mobius strip, with skilled practice on one side, and willed innocence on the other. After six years of hard labor at Oregon Cartoon Institute, trying to flatten out that strip, I learn that the largest and most scholarly collection of print cartoons at the Library of Congress is the Caroline and Erwin Swann Collection of Caricature and Cartoon. Caroline Berg Swann, the only New York art collector and theater producer descended from a KGW Hoot Owl, had beat me to the punch. I appreciate this vote of confidence from beyond the grave. And my work, though widely misunderstood, isn’t entirely lonely. After I asked Sheldon Renan to tell me his family history, he adds that he is a cartoonist. His work is still on display at Yale. I tell this to Bill Failing, the head of the board of trustees at Oregon Historical Society, whose family chopped down some of Portland’s first trees, but it doesn’t impress him. He’s cartoonist too. Robert Johnston is a historian. Will Vinton is a writer, director, producer. Bob Gardiner was a filmmaker, animator and artist. Carrie Brownstein is a musician, producer, writer, actor. Sheldon Renan is a writer. Walt Curtis is a poet. Stewart Holbrook was a writer. Henry Minor Esterly was a lawyer. Elizabeth Norcross Esterly was an educator. John Reed was a writer. CES Wood was a lawyer and writer. 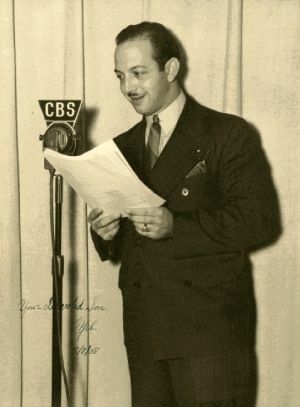 Charles F. Berg was a businessman, radio pioneer, entertainer. Mel Blanc was a musician, writer, producer, voice actor. Louise Esterly Renan was a social worker, turkey farmer and secretary. Caroline Berg Swann was an Off Broadway producer. George Renan was a turkey farmer. Fred Armisen is a musician, producer, writer, actor. David Cress is a producer. Erwin Swann was a Revlon executive. In 1974, he built the Caroline Berg Swann Auditorium in honor of his late wife. Predating the Whitsell Auditorium, it housed the screenings of the Northwest Film Center, the brainchild of the son of Louise Esterly, his wife’s Bryn Mawr classmate. Bill Failing is the head of the board of trustees of Oregon Historical Society. In 2013, he began a new initiative, exploring ways his institution and Portland Art Museum could work together to create programs which use art, including film, to explore Oregon history. Mel Blanc, the most influential and respected voice artist in the history of the planet, grew up in Portland. Dropping out of high school to become a musician, he first worked as a voice artist for Charles F. Berg, producer/director of the KGW Hoot Owls. The Hoot Owls were amateur entertainers experimenting with radio, a new mass medium which delivered content free to the public. Musicians Carrie Brownstein and Fred Armisen first began collaborating in Portland on Thunderant, a sketch comedy series distributed on the internet. The KGW Hoot Owls stage a mock arrest. Charles F. Berg is in the light colored suit. Harry Grannatt, the talent scout who brought a young musician named Mel Blanc to Charles F. Berg’s attention, is second from the right. Berg’s day job was running a women’s clothing store. Grannatt’s day job was selling insurance. & 5. 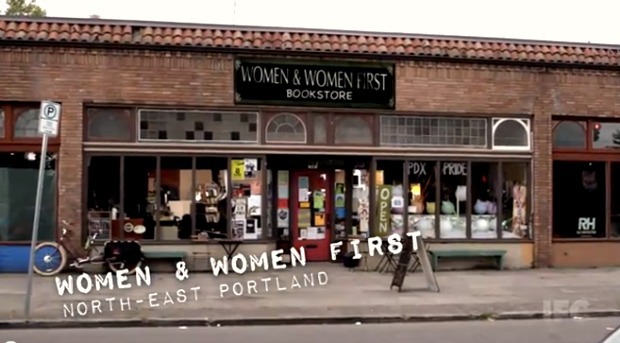 Portlandia’s fictional Women And Women First bookstore is closely based on the real Portland bookstore, In Other Words, which serves as its set. 6. 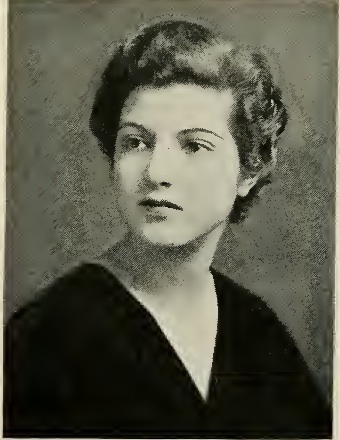 Louise Esterly’s Bryn Mawr graduation photo, 1933. 7. 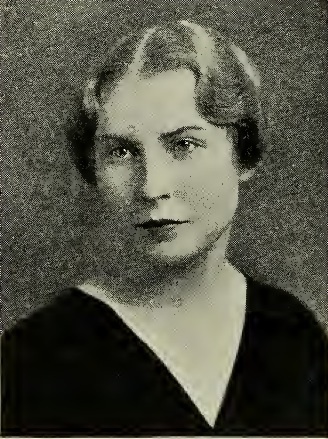 Caroline Berg’s Bryn Mawr graduation photo, 1933.